Doug Dvorak is an expert college commencement keynote speaker with over 15 years of professional keynote speaking experience. Doug most recently delivered a commencement address to Flagler College, in St. Augustine, Florida in early 2017. Doug was awarded an honorary Doctor of Laws Degree during this commencement ceremony. Choosing a keynote speaker for you next commencement ceremony is an important task for any college, university or any other institution of higher learning. When you hire Doug to be your commencement speaker, he will work tirelessly to craft a customized, meaningful message that motivates and inspires. As your next commencement speaker, Doug offers a deep understanding of commencement ceremonies and works hard to make your next event a great success. Doug has provided keynotes and workshops for Non-Profits, Universities, High Schools and Fortune 500 Companies and for the past 15 years. 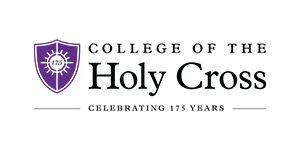 Some of the schools and organizations include Flagler College, Boise State University, University of West Virginia, Holy Cross College, Southwest Polytechnic Honda, Cisco, and IBM. Experience the success an industry expert and professional speaker makes by experiencing the Dvorak difference! Doug provides professional commencement speaker keynotes for Universities and Colleges across the nation. Doug is a Certified Speaking Professional designated by the National Speakers Association. Doug’s goal is to provide the highest quality commencement ceremony keynote services to each client. Each commencement address is unique and so it deserves its own style of presentation that is carefully crafted to fit the spirits of its audience. Doug speaks on customer service, leadership, marketing, sales, management, motivation and more. His keynotes and workshops are customized to provide industry-rich and company orientated messages that carry value and fuel success. Contact Doug for more information on his commencement keynote speaker services. Doug is a Certified Speaking Professional designated by the National Speakers Association.